Frost the rim of an Irish coffee cup with brown sugar. 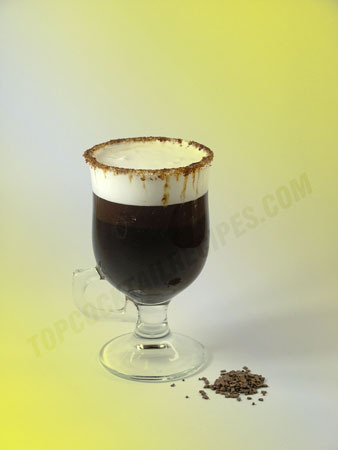 Pour the hot coffee and the liqueurs into the cup and add sugar to sweeten. Float the cream on top and sprinkle with grated chocolate.